It's extremely windy out and very cold so here's something that might warm us up. I brought my Hibiscus in to over winter and it has begun to bloom. 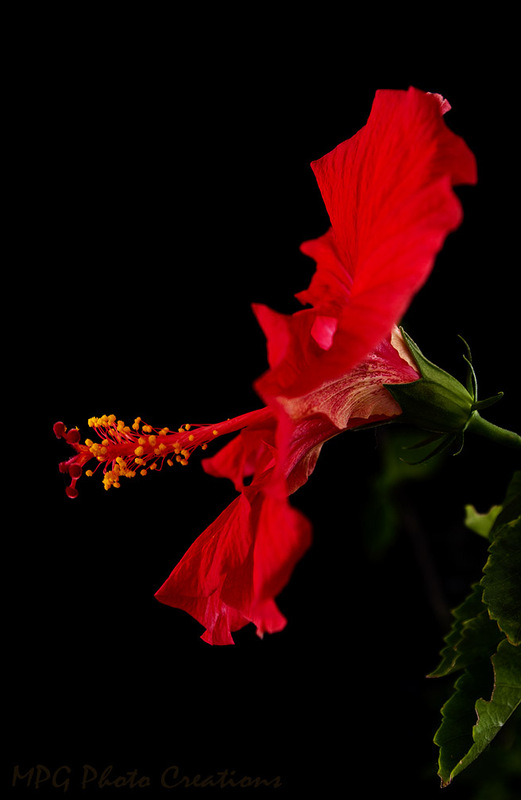 I shot this against a dark background and liked the side view of the bloom.